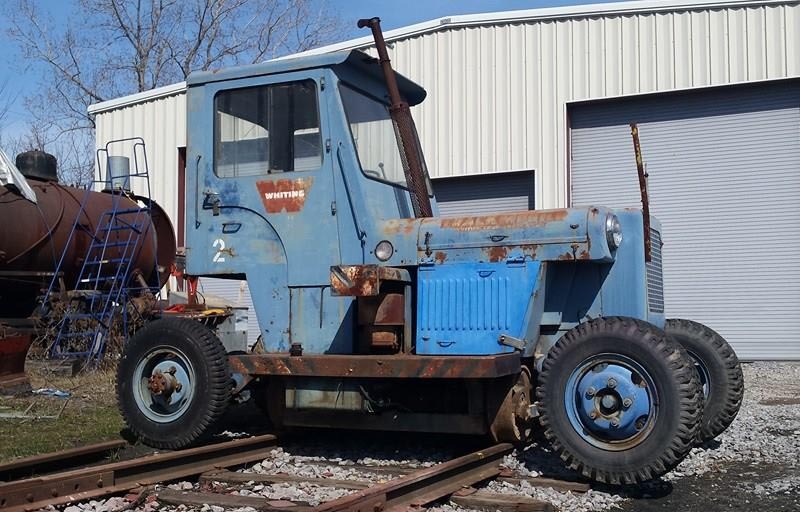 This Whiting 5TM Trackmobile is fully functional, able to drive over paved surfaces or mount the rails and used to move railcars around our museum. It was built in 1961, and acquired by the museum in 1998. The 5TM was the first model to have a fully-enclosed cab, had the option of a gas or diesel engine, and was equipped with a power shift transmission geared rail drive. 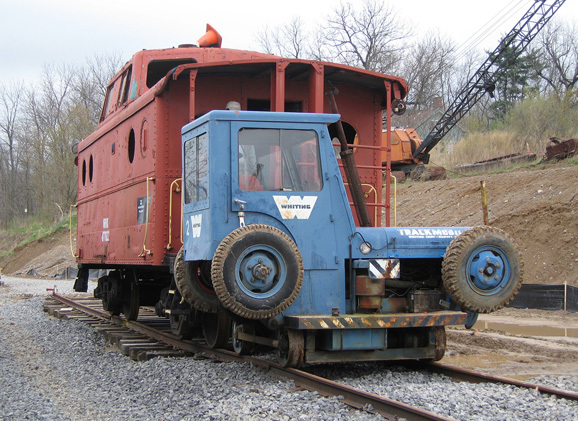 The Trackmobile was developed in-house by engineer Marshall Hetelius at the Whiting Corp. in Harvey, Ill., in 1947. Whiting’s own plant locomotive would get trapped by parked vehicles and hours of productivity would be lost. Hetelius was challenged to come up with a machine that could not only operate on road and rail, but would also be heavy enough to move railcars safely. A successful prototype debuted in 1948. By 1950, Whiting considered marketing their creation to other customers. The line became so popular that Trackmobile production moved to a new plant in LaGrange, Ga., in 1980. Marmon Group acquired Trackmobile in 1987, and continues to produce new models as part of their Switchmaster product line.